Can you believe we made it? It is officially (almost) the weekend. Thank goodness, because its been somewhat of a busy week for us Wilsons. Anyone else feel me? Today, I thought I would share this adorable look I featured on my Instagram a while back. I love this look because although fall is coming, summer is still in full swing here in CLT (yesterday it was over 100 degrees…Lord help us all!). These shorts are one of my favorites because they are long in the back but still have the cutoff, which is one of my favorite trends right now. I seem to have a very hard time finding shorts that don’t show my entire booty don’t fall out of. Perhaps it is my long legs (I am 5’10”) or perhaps they are just making shorts shorter and shorter these days…regardless, this pair is perfect. I especially love that I don’t have to continually pull them down or worry about showing a little too much, which has become important to me as my wardrobe continues to evolve and I continue to mature in my style. I am all about the cutoff look, but lets be real, I am definitely not in college anymore haha. 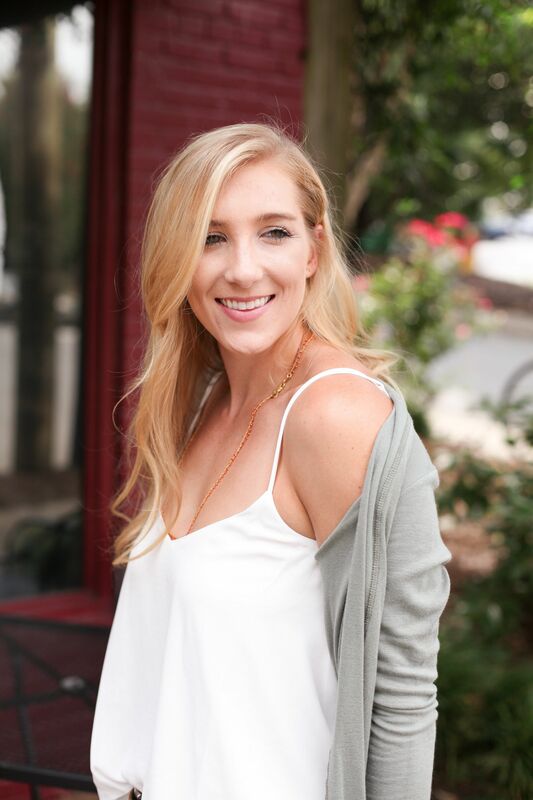 This tank is also one of my faves because a) it was only $15 and b) I think it is a perfect staple for every season. 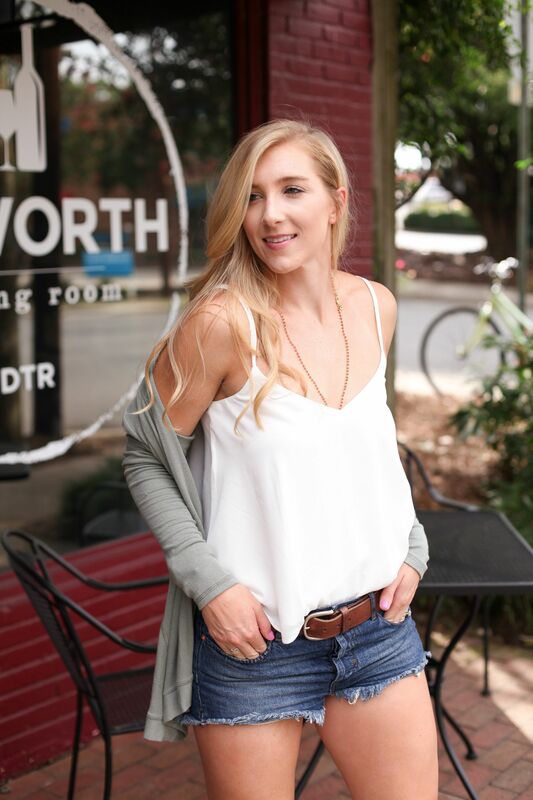 For summer it can be worn with cutoffs as I’ve styled in this look and for fall it can be worn with you favorite pair of jeans and a cozy sweater. What is also great about this top is that it can easily be transitioned for date night or a night out with your girlfriends. And at $15, you might as well just get it! Although this week has been busy, I am currently writing this post in the airport as I head out for a nice long weekend away with some girlfriends. I am excited to see them, but traveling is always a bit of a struggle for me. Anyone else stress about missing their flight despite getting to the airport HOURSSSSS early? Well, thats me haha. My husband did tell me this morning that I am getting so much better at traveling and packing (GASP). I am a serial over-packer, so this comment was HUGE. Well, I better go catch my flight. Love you babes! Previous Post Too “Fast” for This! Next Post Is that too Much to Ask?